send me a trade offer. I have couple buds, keys and other stuff to add. If you are interested just shoot me an offer. I'm not buying unusual, crates and I'm not paying more for painted/parts. Selling an AWPer Hand for 4 refs. You can also offer me items of the same value. IF YOU WANT TO NEGOTIATE, SEND ME YOUR TRADE OFFER! Miami Nights Magistrate's Mullet 20 keys, pure or overpay. Midnight Whirlwind Zoomin' Broom 8 keys, pure or overpay. Notes are too long. Click here to view. 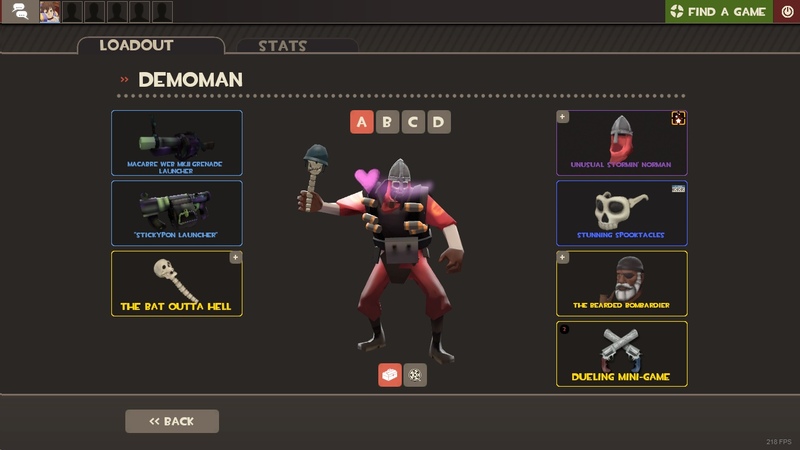 Specialized Killstreak Scotsman's Skullcutter 16 ref. Non Craftable Panic Attack 1 ref. Non Craftable L I T R A N G E R 1 ref. Non Craftable Gunboats 3 ref. Star Crossed Shahansah 11.77 ref. Battle Scarred Alien Tech Shotgun 12 ref. Zepheniah's greed Nunhood 6.88 ref. Non Craftable Fancy Fedora 17.33 ref. Pink as Hell Troublemkers Tossle Cap 28.44 ref. 1 of 1 for sale currently. i'm the 3rd owner, this is the most clean unusual Mullet you'll ever find. Not in rush at all. Happy to keep this beauty. Price is 52 keys. 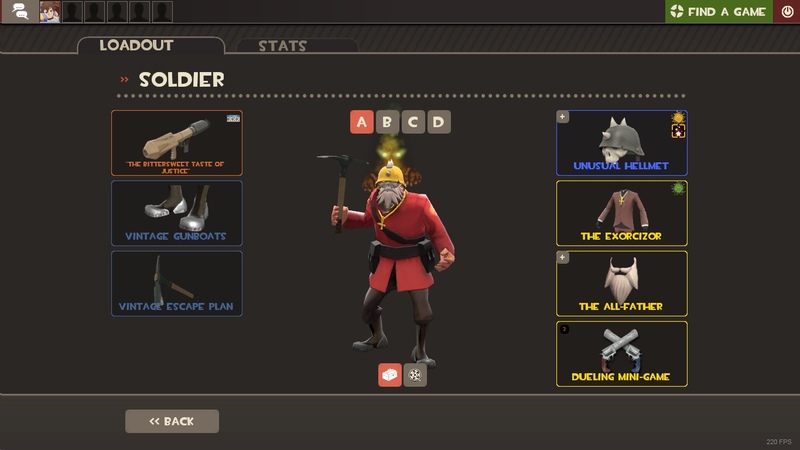 Willing to negotiate about items\unusuals offers. Won't consider any pure offers <50 keys. Won't consider any items\unusuals offers <60 keys. Not interested in trash\hard to sell stuff as well. Not interested in cash also. 16 keys and ~100 refs are waiting for some good offers! I would like to get a steam offer, but if you want to negotiate - feel free to add me. Selling my 1 of 3 Circling Heart Stormin' Norman. Looking for 21 keys, but open to any offers. Would like to see unusual \ items \ mixed offers as well. Won't go much lower, because happy to keep anyway, but you are welcome to negotiate. https://pp.userapi.com/c845322/v845322663/1cf9e1/CoSPhvfaDN0.jpg - Screenshot of this beauty. Feel free to add me \ post here \ send me a steam offer. Hello there, fellow trader. Please, read this first. Im looking for offers on my Eldritch Flame Hellmet. It is 1 of 1 on market now. I would like to trade 1:1 for either - Ancient Eldritch Hellmet \ Eldritch Flame and Ancient Eldritch Neptune's Nightmare. I can probably add some sweets for Ancient effect. https://pp.userapi.com/c845221/v845221455/1beb83/DdgtBeHUDdw.jpg \ Screenshot, so you can see how hot this bun is. I am gonna give all of them for 1 key. *This trade will be updated regularly to include EVERY single new unusual (item) I am selling currently so stay tuned and bookmark this trade page for updates! - All offers welcome and considered! Every quality and type of item is allowed to include all kinds of trades! Hey there! This trade is particularly dedicated to buying unusuals for my pure keys or other side offers! Can take almost any unusual at a minimal discount and even more for better effects or hats! Can also accept australiums, promo items or other items of higher value! CAN ALSO BUY BACKPACKS! FULL/PARTIAL BACKPACKS FOR PURE KEYS! ALL ITEMS ACCEPTED/CONSIDERED! This is a Buy Now trade, which is completely automated. There is no need to add this user as a friend, just close this modal and click the green button below the items to begin the trading process. I'll trade with the bot! Alternatively if the site actually is legitimate, open a ticket and we'll whitelist it.